They're an important part of the day too! Wedding talk is often focused on brides, and as such, bridal party discussions tend to hone in on bridesmaids. 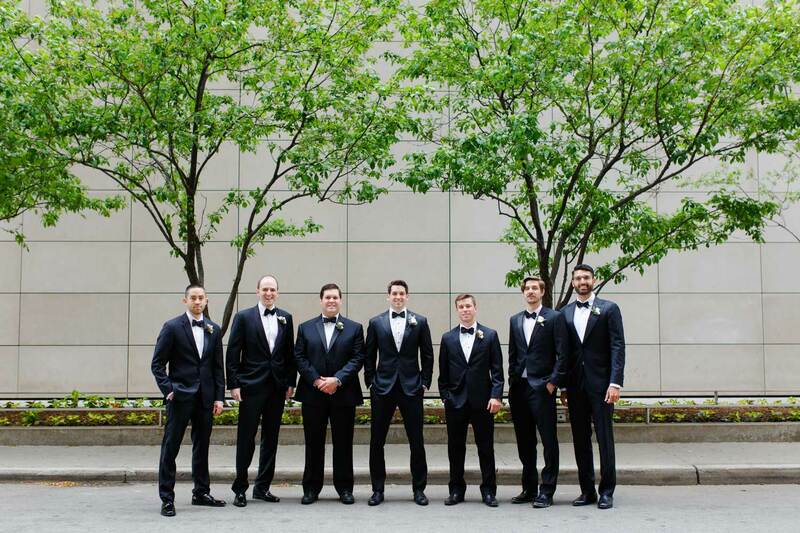 However, groomsmen have a lot to offer as well. They may not typically be the ones helping with DIY details (although you could always ask!) or throwing showers, but they are still a special part of the support team. There have even been reports that groomsmen on average spend more to be in a wedding than bridesmaids do! All of this is to say that showing appreciation for the men standing up on the big day is important. Often, gifts are used to show you care. While there are certainly other ways to say thank you to the special men in your life, a thoughtful present is still sure to mean a lot. Just like with bridesmaids, avoid the temptation to get something that they’d wear for the wedding. How often does the average guy really need cuff links? On a similar note, if one of your buddies has been a groomsman a few times before, there’s a strong chance he already has a flask with his name on it. Instead, consider individual gifts that cater to each man’s taste. This thoughtful gesture is sure to be appreciated more than a trinket bought in bulk. Aside from presents, allowing the groomsmen a say in what they wear is always a kind thing to offer. So often brides are expected to get the opinion of bridesmaids for their dresses, while groomsmen are told to show up to a shop and rent what has already been picked out for them. It doesn’t have to change your entire vision, but letting their voices be heard can go a long way. If you want to be extra accommodating, perhaps you can allow the men to wear a suit they already own, or pick out their preferred style. After all, mismatched bridesmaid dresses are in vogue, so why should groomsmen still be forced to be matchy-matchy? Remember to have some guys’ nights out along the way. The bachelor party shouldn’t be the only time you see these pals. Some brides choose to host a bridal luncheon in the days before the wedding, and there is certainly no reason groomsmen shouldn’t be treated to a similar experience. Read how to show appreciation for your bridesmaids and find out how to make sure your groomsmen look their best.